1. Focus on removing TSS from wastewater first. Reducing TSS will almost always reduce BOD too. First and foremost, use mechanical screens such as roto-strainers or bar screens to get large solids out. This will also protect your downstream Dissolved Air Flotation (DAF) equipment from damage or clogging. 2. Get a properly sized EQ tank. Changes in flow and loading rates can cause over or underfeeding of flocculants and coagulants. A properly sized EQ tank will help balance out your flow and loading rates. This will also help to properly size the polymer make-down feeder, keeping your initial costs down. 3. Control the pH of the waste stream. 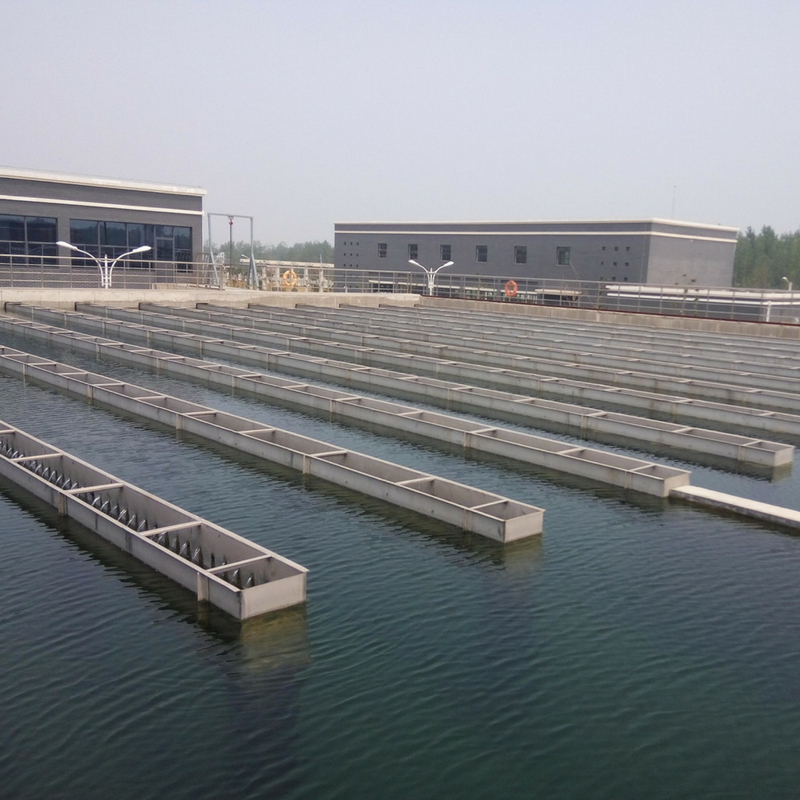 Effective wastewater treatment chemistry has an optimum pH window where it is most efficient. If the pH swings to either side of this window, polymer will be wasted or ineffective. 4. Install a modern plate pack DAF made of stainless steel or plastic. A modern plate pack DAF will improve your TSS removal rates. It will also reduce the footprint size of the DAF and give you more leeway with flow and load tolerance. 5. Use a regenerative turbine air dissolution pump. A regenerative turbine aeration pump uses minimal electricity to dissolve air into water and produce 20-30-micron air bubbles. These are needed for efficient DAF treatment. Look for a Nikuni brand or similar pump. We recommend air flow rates in the range of 150 – 200 cfh. 6. Get a DAF that cleans itself. Modern high-rate DAFs require takedown and cleaning about every 2 weeks. And if you don’t clean it, you may be faced with clogging, solids separation problems, higher chemical feed rates, and higher TSS. Rather than clean it yourself, get a DAF that is self-draining and self-cleaning to save yourself a lot of work. Properly designed DAF systems provide cleanout ports or pumps to remove stubborn, heavy, settled solids. 7. Use performance-tested liquid chemistry whenever possible. Using liquid chemistry allows for full automation of the process at a low cost, eliminates wetting issues and fish eyes (undissolved clumps of polymer particles), and opens up a wide range of treatment chemistries. It is also much easier to switch products when a drum or tote runs out than to wait or discard a palate of dry bag polymer. 8. Use a flow proportional dosing and make-down system. Even with a properly sized EQ tank, you should still use a flow proportional dosing system to compensate for flow cycling. Look for a flow meter with a 4-20 ma output signal to the chemical feed system. This will yield more consistency, produce better overall treatment removal, and lower chemical usage. 9. Properly locate chemical injection points and test them. Ideally, you should inject the coagulant first as far upstream as possible. This would be where the wastewater comes out of the EQ tank, ahead of the transfer pump. Inject the polymer into a port in the flocculator tube. You’ll need a sample tap placed ahead of the polymer injection port to check the coagulant dose for pin floc formation. Another sample port downstream of the polymer injection port checks the effectiveness of your chemicals prior to entry into the DAF. You can then make adjustments before the effluent comes out of the DAF. 10. Use the right size DAF equipment. There’s only so much that chemical treatment can do. An undersized DAF or chemical feed equipment will result in poor TSS removal rates and chemical program failure. Companies are continually increasing production and flow rates, so you need to size your equipment with potential increases in mind. Many of these issues are not due to the chemical program: they are a result of a malfunction in the DAF equipment’s operation or maintenance. Knowing how to control TSS and BOD is a crucial part of your wastewater treatment plan. But as a facility manager, you’re also dealing with things like cooling water systems and water treatment equipment maintenance. Download our free eBook, 5 Things Successful Facilities Get Right With Water Treatment, to get real industry insight into what you can do to save money and keep your systems safe.